Although we share this world with various creatures, big and very small, sometimes we need to create some boundaries! Ants on the countertop, fleas in the carpet, weevils in the flour, mosquitos on the porch are not so welcome. There are plenty of chemicals on the market to aid in eliminating bug problems, but why go there? Commercial chemicals can carry lots of side effects like skin rashes, breathing issues and even toxic overload. Scroll down for some natural approaches to take first and see if they can do the trick. Even the Center for Disease Control (CDC) says a particular essential oil (which I detail later in the post) can stand up against some of the strongest commercial products out there. Don’t miss my homemade bug spray to try and some fun ways to entertain outdoors, too! 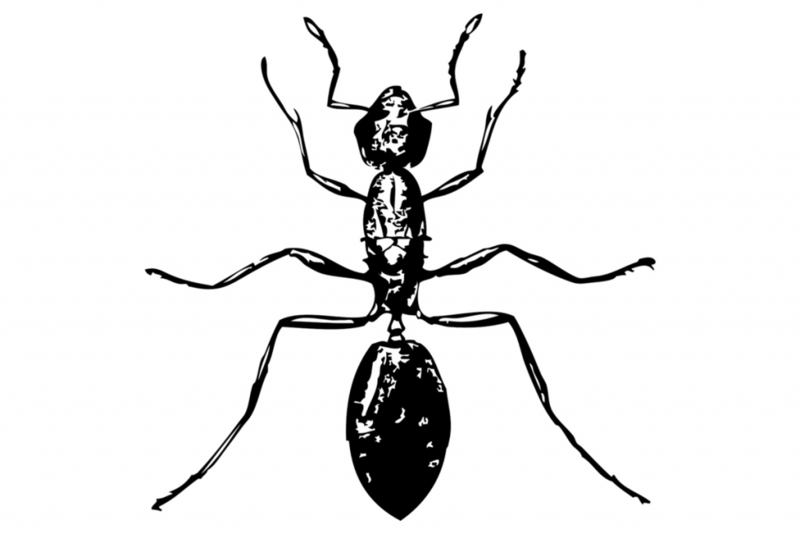 A string of ants can be halted with a fine sprinkle of baby powder, cinnamon or even cayenne pepper in areas that you spot ants frequently. These can all act as great deterrents as the ants do not like to cross through the line powders. If you notice a few ants here and there in your kitchen, try a single bay leaf in kitchen drawers, cabinets and even in containers of sugar, flour or tea. This works great for those tiny weevils that can invade flour, cornmeal or other grains as well. If your pet has brought in attachments of the hopping kind, and the fleas invade your upholstery and carpets, try sprinkling salt or baking soda over the surfaces. Vacuum and immediately toss the contents of the vacuum bag into a bowl filled with hot and soapy water to retire the fleas. This must be done daily until fleas are no longer evident. Throw a few fresh lemon slices on your next picnic gathering and throughout your home where you have fly invasions. Lavender or peppermint oil soaked on cotton balls on window sills where they enter can work as well. When wanting to control flies near your home, it is also important to keep all trash and “pet packages” picked up and deposited in sealed trash containers. My personal unfavorite (if there is such a word), the mosquito, can infect you with serious diseases such as West Nile Virus and many others. Try plants of fresh mint on windowsills and patio to deter that too familiar buzz. The lemon slices can work here as well. My best success has been with outdoor fans. Mosquitos and probably most bugs can become disoriented in wind. Placed strategically, they can make a hot summer evening outdoors bearable and bite free! The CDC, as well as a study listed in the The Journal of Medical Entomology both, point to the efficacy of lemon eucalyptus oil to deter mosquitos as well as or better than DEET. It may also work against ticks as well. You can read here what the CDC says about it. Caution must be taken when using essential oils as they can cause skin irritations when applied directly to the skin or even be potentially poisonous if ingested in large quantities. (But I don’t think you plan on doing that!). They must be diluted and mixed with either an oil or alcohol base. This makes a very small amount as a tester for a day’s worth of insect repellant, as essential oils can be expensive. If effective, double or triple the amounts here. Keep a notebook of what “recipes” you try and work. 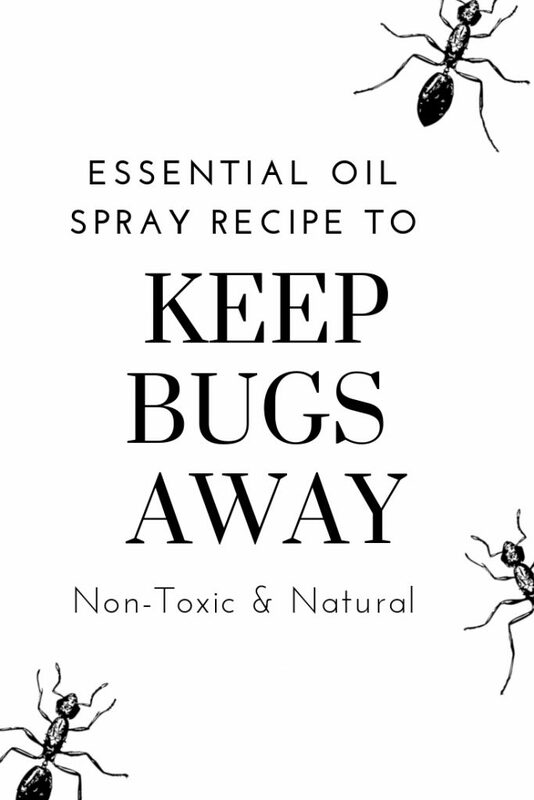 Various bug species that are specific to your area react to various combinations of essential oils and the ratios. Experiment and find what works for you. Pour the base oil or alcohol base into jar or bottle. Place lid on top of the container and shake well. Before first use, test a small area on your body to ensure you do not have an allergic reaction. If using a spray bottle, do not spray near mouth or eyes. Instead, spray some on a cotton ball and dab the mixture around your neck, behind ears, etc. Reapply every hour or so and especially after exercise or swimming. SHOP OUTDOOR ENTERTAINING – BUG-FREE! What about you? 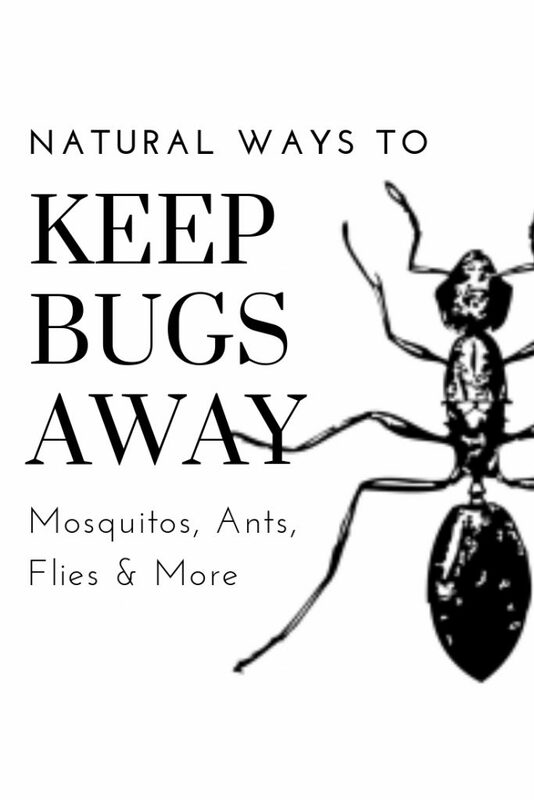 What have you found to be effective or ineffective to deter bugs without heavy chemicals? Please share in the comments!